I know this place isn’t really a secret, but it’s still a pretty spectacular place to see if you have never been there before. Going as far back as 1913, the Flower Market has long been a hub for flowers given the agricultural roots of California (from citrus, to strawberries, to the Tournament of Roses Parade). 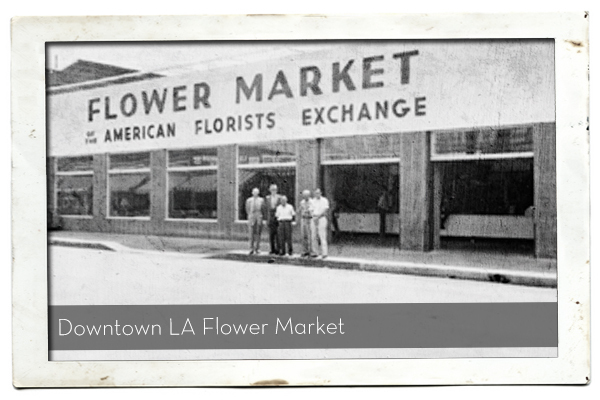 Rando Facts: The original 2 markets, the Southern California Flower Market & the American Florists’ Exchange, that make up the LA Flower Market, were started by Japanese & European immigrants respectively. You can still see those original buildings even though many of the vendors are no longer part of the original organizations. As long as you don’t have crazy asthma attacks when confronted with pollen or a deathly fear of flora, then you should be fine. But you have been forewarned, this place has A LOT of flowers. 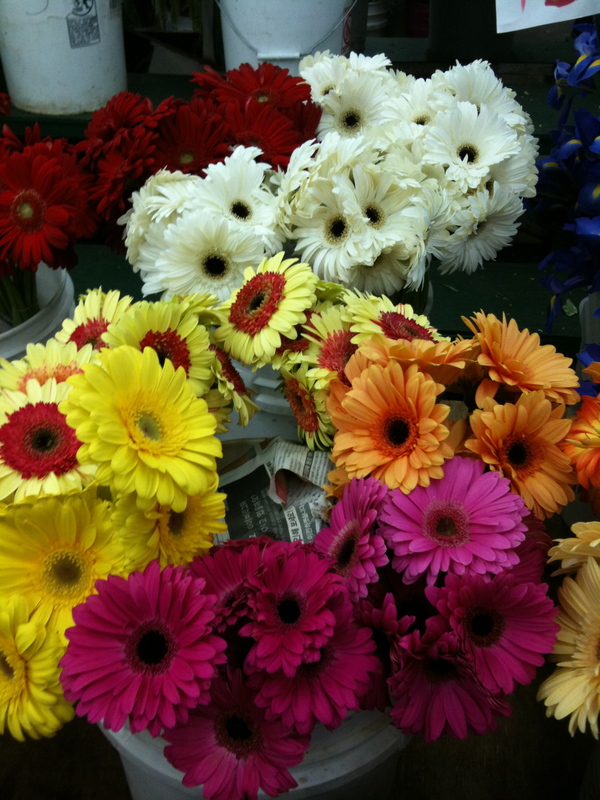 So, I was at the Flower Market because planning a party requires lots of flowers. 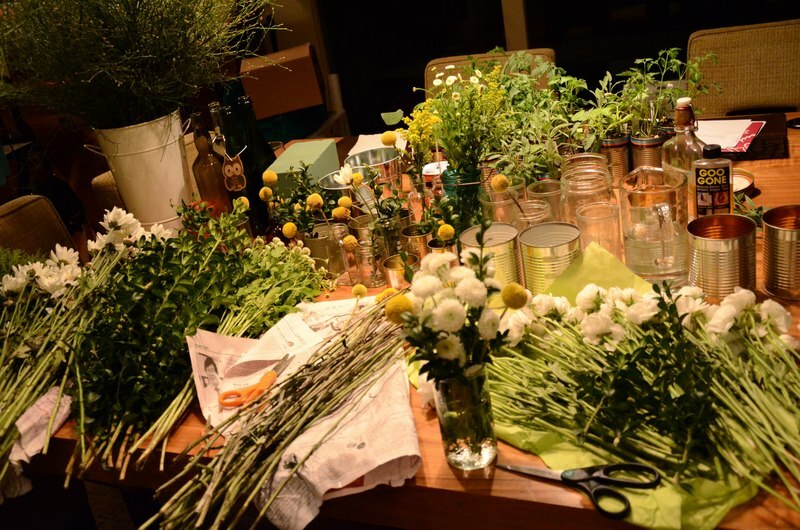 Not only are there flowers but all the accoutrement that goes into primping and priming flowers. 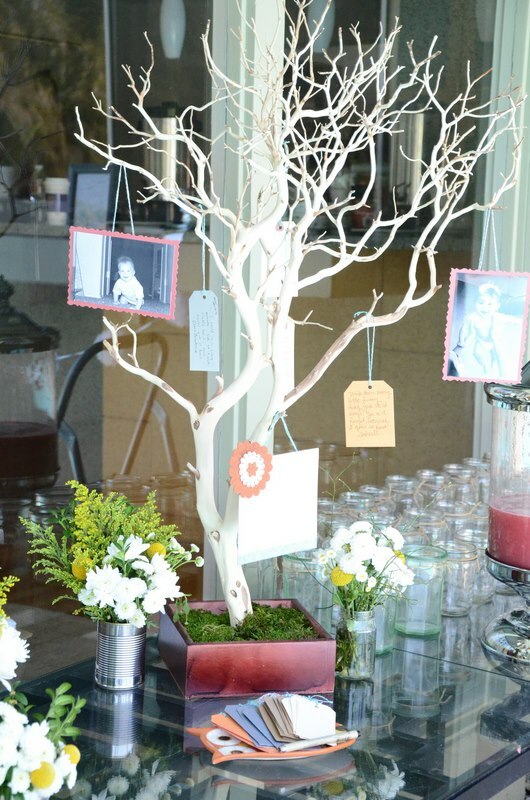 There was even this gorgeous ‘tree’ that we used to hang words of wisdom & doubled as a gift for the new nursery. If you have never been, I highly recommend getting there at the very moment they open the doors to the public, which depending on the hours can be as early as 6am, just to see the astounding array of flowers that is in one place. Many of the vendors high tail it out of there as the morning wanes. However, if you are lazy (or realistic), then you don’t have to get there at the crack of dawn. My girlfriends (Tania & Carolina) & I arrived just around 9am and there were still plenty of flowers for us to choose from. 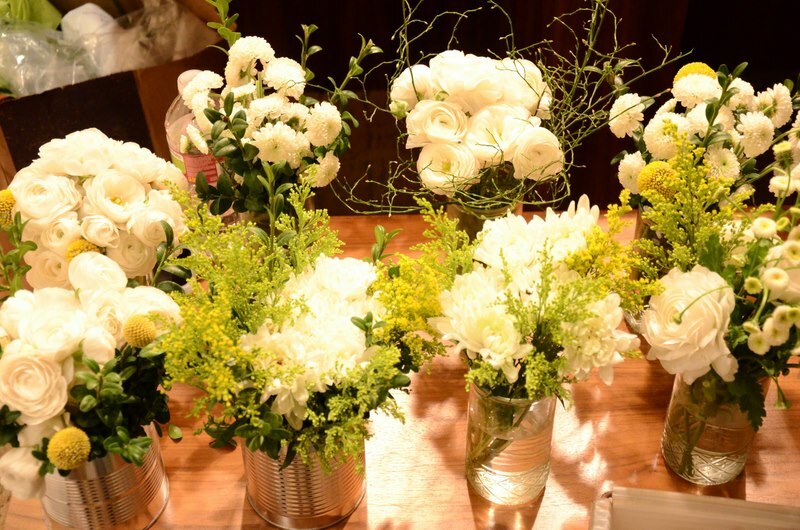 Thanks to CocoRose Events for the pictures & if you want to see more details on the Baby Shower that we threw for our friend Autumn – check out Leslie Sarna’s blog & CocoRose Events.